It is well-known that meditation has a ton of health-boosting benefits. Everyone is doing it, right from the guy in the corner office to the student who weaves it around her study-TV schedule. But we are spoilt for choice – there are just SO MANY ways to meditate, with every guru touting their own meditation techniques, and of course lots of conflict and confusion created from clashing opinions. Here are the different types of seated meditation that you can explore to see what works best for you. Primordial Sound Meditation, or PSM, is a technique from the ancient Vedic tradition of India. It is based on chanting a mantra. This old practice is a part of Hindu, Buddhist, Jain, Sikh and Taoist traditions. The practitioner is given a mantra based on the Universal vibration at the time and location of their birth. When meditating, silently repeating the mantra creates a vibration that will help your mind become quieter, and into a place of tranquility and awareness. Many people who start with mantra meditation focus on the mantra “Om” so this meditation is sometimes also called “Om meditation”. The idea of this type of meditation is to focus on a single object throughout the session. This could be a mantra, visualization, candle, image or just about anything. With practice, your ability to stay focused irrespective of distractions will increase. This form of meditation is great for enhancing the depth and firmness of your attention powers by staying in the present moment. This will help you turn off the constant stream of thoughts and slip into an altered state of consciousness. Zazen means “seated meditation” in Japanese. This is a Buddhist meditation where you focus on becoming aware of your breath and non-reactive observation of your thoughts and experiences as they come to you. This form of meditation has its origins in the Chinese Zen Buddhism (Ch’an) tradition, going all the way back to Indian monk Bodhidharma (6th century CE). 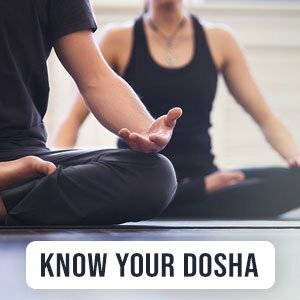 This is very similar to the Vipassana meditation technique, but they are different from each other. The main point of difference is that in Zen meditation, the breath emanates from the belly, instead of the nose like in Vipassana. Apart from the breathing techniques, the posture and eye gaze in the two techniques is also different from each other. Ramana Maharishi tells us that self-inquiry is the path to higher levels of consciousness. In ancient times, this technique was used to learn about true desires – to understand what the soul wants by means of asking oneself. This technique requires you to be mindful and then ask yourself questions like ‘What am I?’, ‘What is my higher purpose?’, ‘Why am I doing this?’ among other such existential queries. When practiced, this technique allows us to leave the confines of the body and ego. Time and space are said to merge within our mind and we attain Samadhi – a pure, enlightened state. The mirror gazing meditation is usually practiced to enhance psychic abilities by boosting concentration and willpower. This meditation technique shows us our actual potential, by removing all inhibitions. All one needs to do is sit in a relaxed state and place a mirror within a distance that’s comfortable to your eyes. Now you can start gazing into your eyes. There is no need to stress your eyes or focus too hard. At the beginning, you can gaze for five minutes and gradually increase the time up to 20 minutes. Kundalini meditation is a technique that is done to awaken your Kundalini energy. Practicing this spiritual technique is the way to rouse the dormant cosmic power that is located at the base of the spine. With this meditation, this energy is the drawn up through the body, awakening the seven chakra points or energy vortices in the body. It is believed that when the energy reaches the crown chakra it causes an experience called Kundalini awakening, which leads to enlightenment. Kundalini meditations can consist of breathing techniques, mantras, mudras (hand gestures) and chants. From the Tibetan Buddhist tradition, we have Tonglen meditation. In stark contrast with our pleasure-seeking attitudes, this meditation technique encourages us to connect with suffering in order to overcome it. Through these meditations, you will learn to accept suffering with openness, let go of negativity and develop feelings of compassion and empathy through breath exercises, visualizations and focusing intent. The Loving-kindness meditation is also called Metta meditation, which means complete kindness and friendliness. This is a heart-centered meditation which can be simply defined as love with wisdom or unconditional love for yourself and others. Tracing its roots back to Buddhist teachings, this form of meditation starts with loving ourselves because we can only love and accept others unconditionally if we feel the same for ourselves in good measure. In time, we include others who have special significance to us, then to a neutral being, a difficult person, and finally to all living things in the universe. Transcendental Meditation is a specialized form of mantra meditation that was started by Maharishi Mahesh Yogi in 1955. In the late 1960s and early 1970s, this form of meditation had celebrity practitioners like the Beatles, The Beach Boys and others. TM allows the mind to easily and naturally transcend conscious thinking to experience a deep state of restfully alert awareness. The Transcendental Meditation technique is the most widely studied forms of meditation. Over 650 studies at more than 250 universities and research centers (including Harvard, UCLA and Stanford) have been piloted on this technique. These studies have been published in more than 100 journals. Qigong (also spelled chi kung or chi gung) is a Chinese term that implies “life energy cultivation”. A part of the martial arts training, it involves conscious body movement, inner focus and controlled breathing. Previously, it was a secret closely guarded and only taught within the Chinese Buddhist, Taoist and Confucian traditions. Today, Qigong is practiced openly as a form of Taoist meditation which focuses on how to use the mind to guide the flow of Qi/Chi (life force) through the meridians of the body. One of the main aims of Qigong meditation would be to empty the mind. However, you should not block out any thoughts that emerge when you are meditating as they can be used for introspection, wisdom and enlightenment.